I am a pillow hoarder. Hubby and his friends say that I need an intervention. Apparently it's hard for them to sit comfortably when there are pillows on the couch. 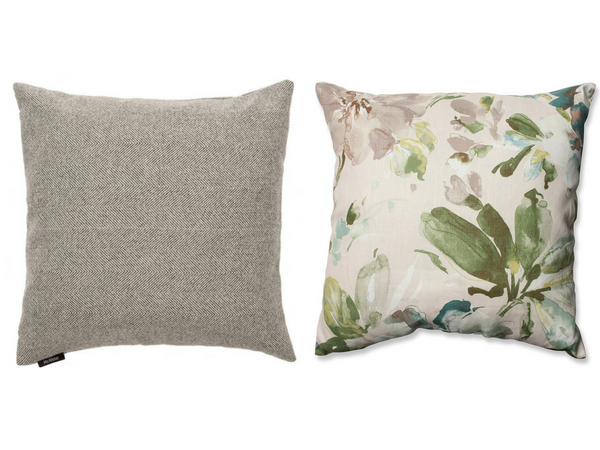 For me, sinking into fluffy pillows is the definition of comfort and coziness. Plus, they are such an easy and relatively cheap way to change up a room. Because I love pillows so much, I am always looking for new ones to add to my hoard carefully curated collection of decorative throw pillows. 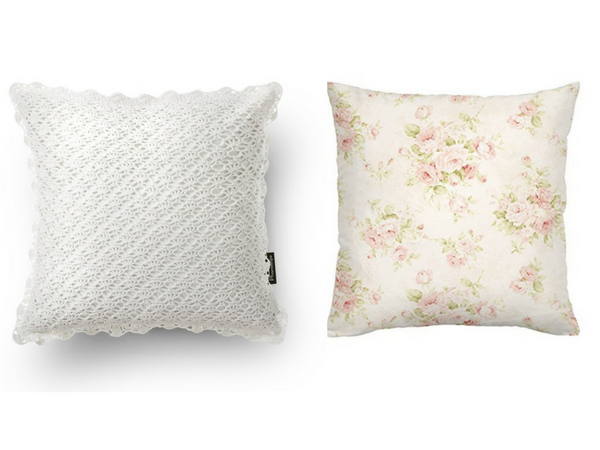 Target, H&M, and Marshalls's are my favorite places for pretty pillows. 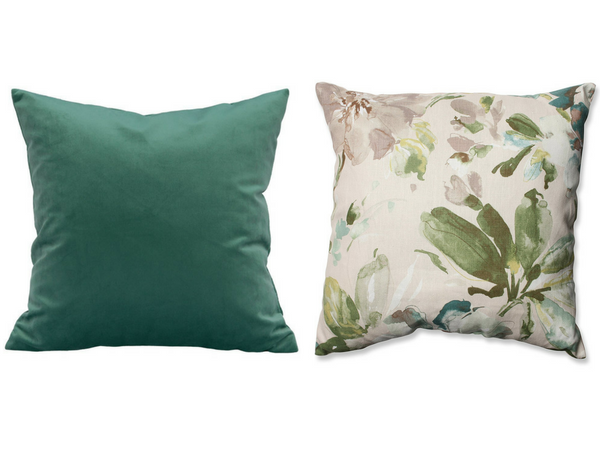 Ikea even has some good ones and that's usually where I find my pillow inserts for cheap. I'd never really looked at what pillows Amazon has to offer but, you know, since everything else is on Amazon, I figured I'd check it out. There's so many pages of everything to go through! I mostly searched for the style of prints and colors that I know I like so just know that there is way more on Amazon than these! These just happen to be my favorite. 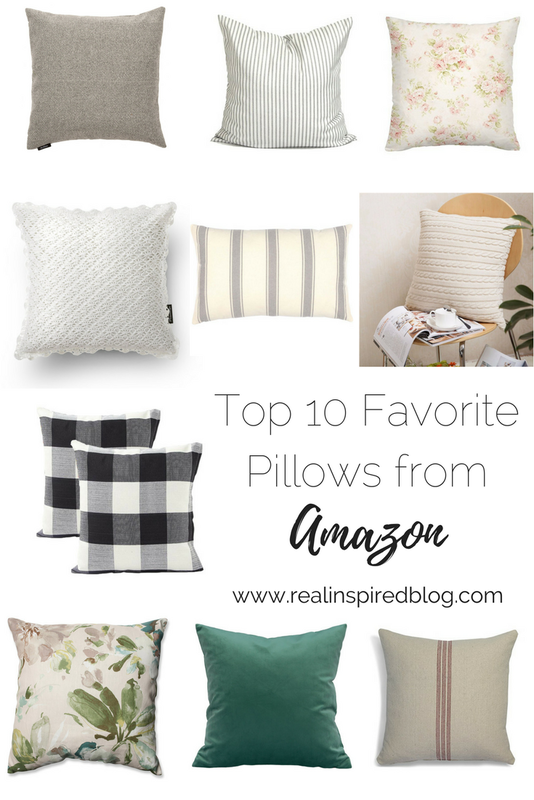 You can find each pillow on Amazon by clicking the links below! If you do buy one, I will a get paid a small commission as an affiliate but all opinions are mine! I'd use any of these in my own house. Sometimes it can be hard to see how different pillows would work together so I put a few combos together for you to see how they would look. Which one is your favorite style? 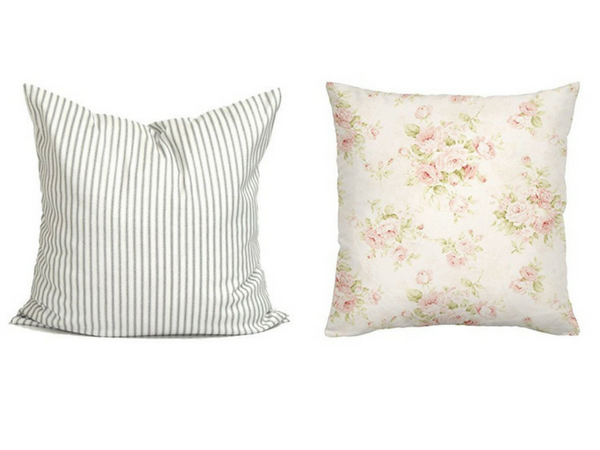 My personal favorite is #3: the ticking stripe and pink floral. 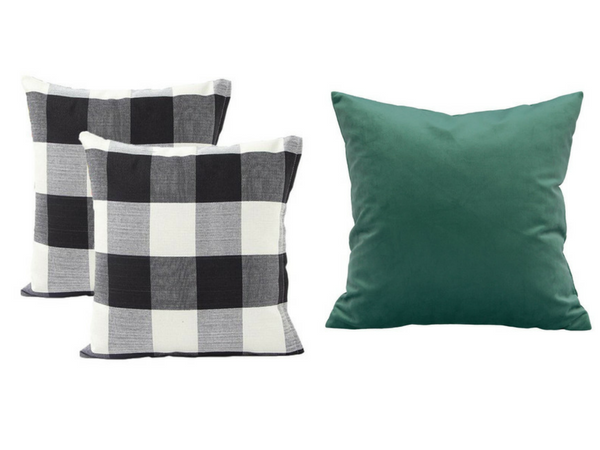 I do love the idea of that buffalo check combined with the green velvet though! Which is your favorite combo? You can leave a comment below!